This summer I’m a Multicultural Undergraduate Intern at the Hammer Museum. I love this Getty Foundation program because of the experience in so many arts fields that it offers. This is my second year as a Getty Intern, and both times I’ve been able to discover completely different aspects of the art world. What I like most about my internship is: Its duality! Working in two departments, Curatorial and Academic Programs, I have the opportunity to learn how the curatorial team envisions and executes exhibitions, while also observing and contributing to how visitors experience the museum through educational programming. And all this while interacting with the Hammer’s amazing contemporary collection. My project: As the Hammer’s curatorial intern I’ve been focusing on a rights and reproductions project, gathering copyright information for various objects as the Hammer works to digitize its collection. It’s been truly fascinating to explore the Hammer’s extensive collection; I am constantly discovering new artists that I love. In academic programs, I’m helping to conceptualize self-guided activities for museum visitors and also to restructure our K-12 tour options. 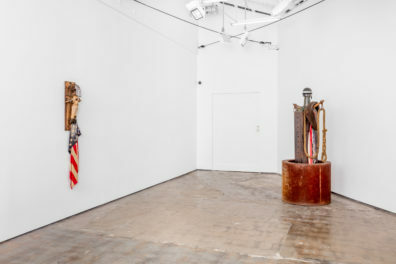 The crossover is really interesting because academic programs makes a tremendous effort to create experiences for visitors that foster meaningful connections with the art, and curatorial does the same in designing and presenting exhibitions. 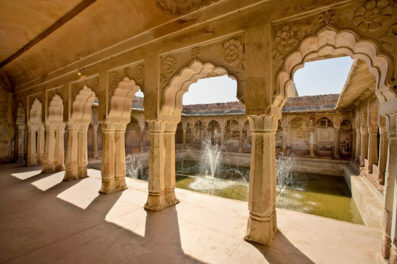 My background: I’m going into my senior year at UCLA, where I study world arts and cultures. This major highlights non-western historical counter-narratives and focuses mainly on museology, curatorial work, and arts activism. I’m very passionate about museum work and encouraging diversity within this field, which embraces so many multicultural artists and objects. 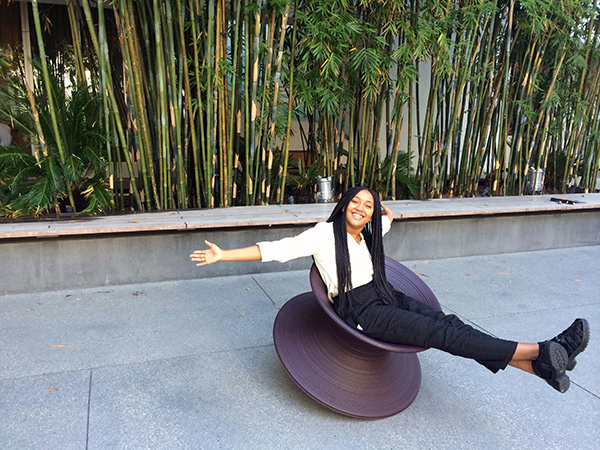 I previously interned at the Museum of the African Diaspora in education and development, and at the Getty I was a Multicultural Undergraduate Intern in Decorative Arts and Sculpture Conservation. My most embarrassing moment: …was also a great learning experience. I was presenting a lesson plan to a group of teaching artists during an education outreach program and I was extremely anxious. As I was passing out teaching materials, one of the teachers noticed my shaky hands and told me not to be nervous and that I was doing a great job. My worries subsided and I was able to gain invaluable teaching experience. 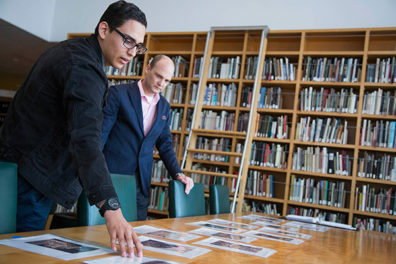 Best advice for future interns: Take advantage of all the amazing resources your Getty internship has to offer. Talk to other people in your arts organization and find out what they do, because there are so many wonderful arts-related jobs out there that you may not know exist. Attend public programs at different institutions, foster relationships with other rad Getty interns, and use your badge to go to museums for free! Internship in three words: Seminal, informative, engaging. I'm a two-time Getty Multicultural Undergraduate Intern, at the Hammer Museum and at the J. Paul Getty Museum. I study world arts and cultures at UCLA. Hanna, this is great! You are lucky to be in a creative environment where young talent is given the opportunity to flourish. This is very inspiring to see a young black woman’s dream come to fruition through education and Art. Thank you Getty for giving the youth these opportunities! What a wonderful experience and write-up of your program! This was an awesome read! Very engaging responses. Congrats Hanna! What a wonderful experience you are sharing with us. You should be very proud of all you’ve accomplished. Great to hear about what you are doing and so glad you have seized wonderful opportunities at UCLA. What an amazing experience! I’m so happy that you were able to share your experiences with others. It shows your excitement and enthusiasm. Reading this should encourage others to look into museum careers. I’m so excited for you and proud. Congratulations on your wonderful write up and experience. Well stated Hanna. Your passion for everything artistic is clearly expressed. Congratulations on all that you’ve accomplished. Continue to move forward.